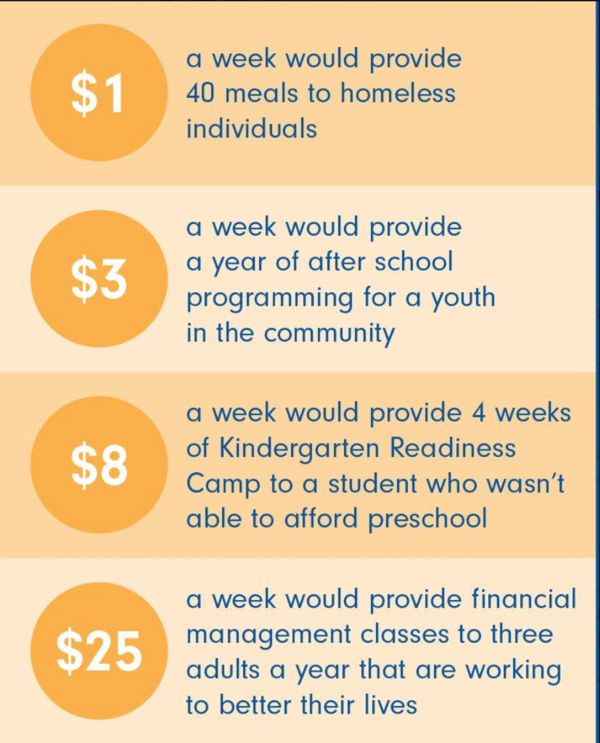 United Way supports programs in our community that have been vetted and regularly show measurable outcomes. 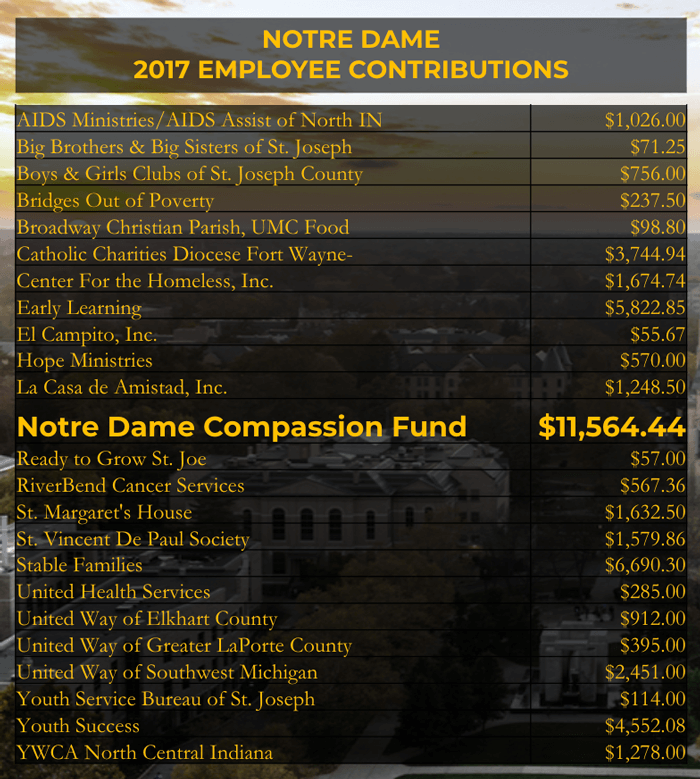 Also, 5% of the money given by Notre Dame employees goes right back to the ND Family through the Compassion Fund. It's incredibly easy to give. Donations can be made in a variety of ways including payroll deduction or a one-time gift. Any amount can make a huge difference in the early learning of a child, maintained success of our community's youth through high school graduation, and the financial stability of families in St. Joseph County. Your donation of $1 provides up to eight meals for hungry children and families in St. Joseph County. Give online at fightinghunger.nd.edu. The website also lists where food barrels can be found on campus to donate non-perishable food items. All donations benefit the Food Bank of Northern Indiana and People Gotta Eat.